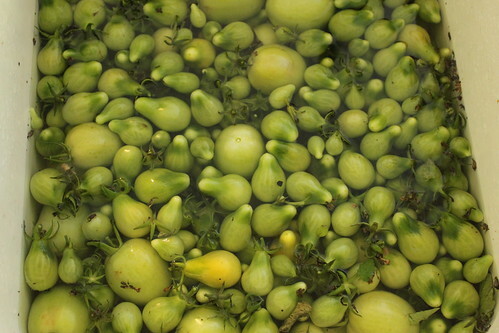 Roma, cherry, and yellow pear tomatoes, a few figs, and a bowl’s worth of tomatillos. 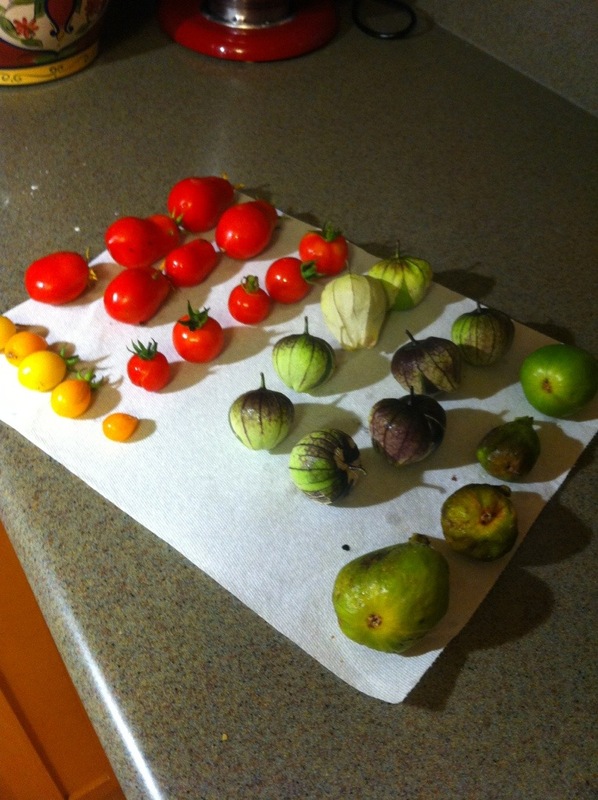 This is my first harvest of figs and tomatillos! 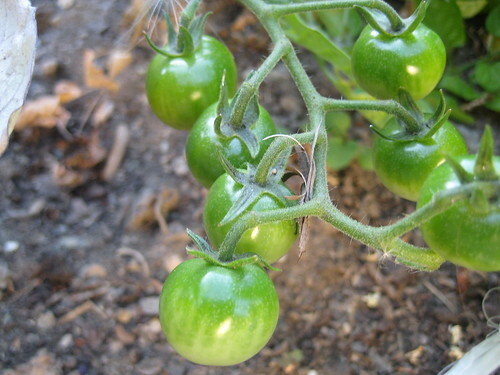 I need to test my garden soil, all but one raised bed is full of skimpy, stunted plants with small fruits. I would think it’s an issue with me, except the kids garden bed is lush and dark green with enormous plants. 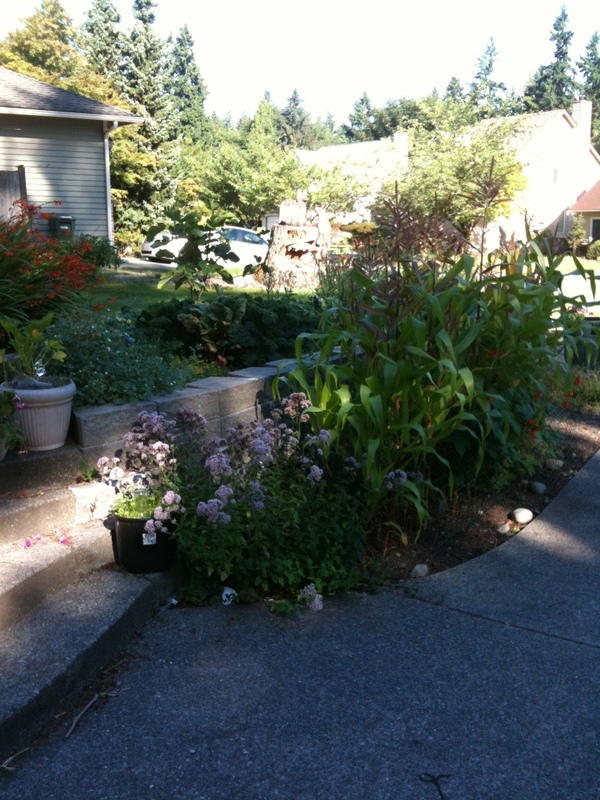 Same plants, water, fertilizer, and gardener! 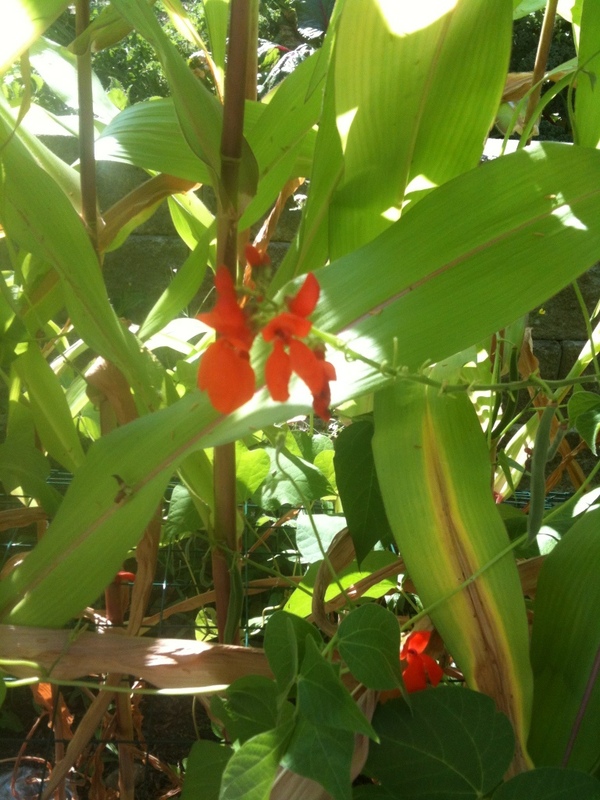 Story of gardening is win some, lose some, and he who has the best dirt wins. 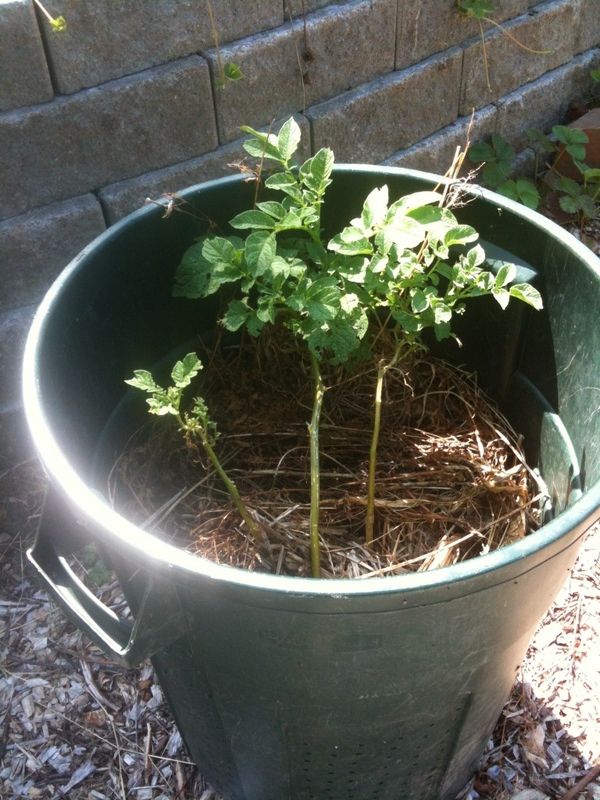 First fail- my potatoes. They were destroyed over and over by slugs. Next year I will use dirt instead of straw to fill the can. Or, just plant them in the ground. 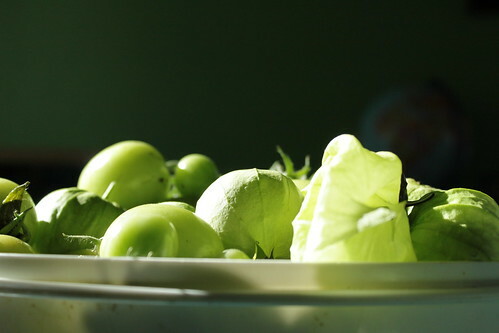 Second fail- the tomatillos. 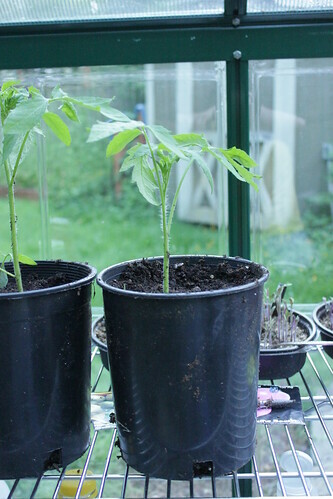 Normally these are bomb-proof, but they got a leaf fungus in the cold greenhouse waiting for summer to start. I peeled off all the diseased leaves and they took a fresh start, but they were irreparably delayed I think. Probably no harvest this year. Third and fourth fail- the basil and tomatoes. 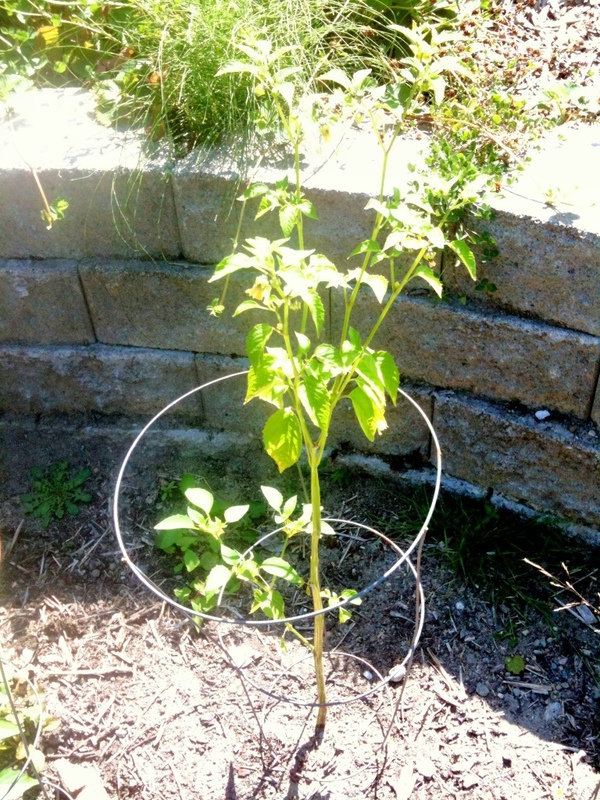 The basil all shriveled and died soon after transplanting, and the tomatoes are just limping along. It’s simply too cold this year- we’ve been lucky if we reach the 70’s. There was not a single sunny day in June. Also, this bed has a bad mix of dirt- I will be aggressively amending it this fall and winter with chicken bedding and worm compost. Last year’s plantings in this box failed too, although I didn’t realize why. 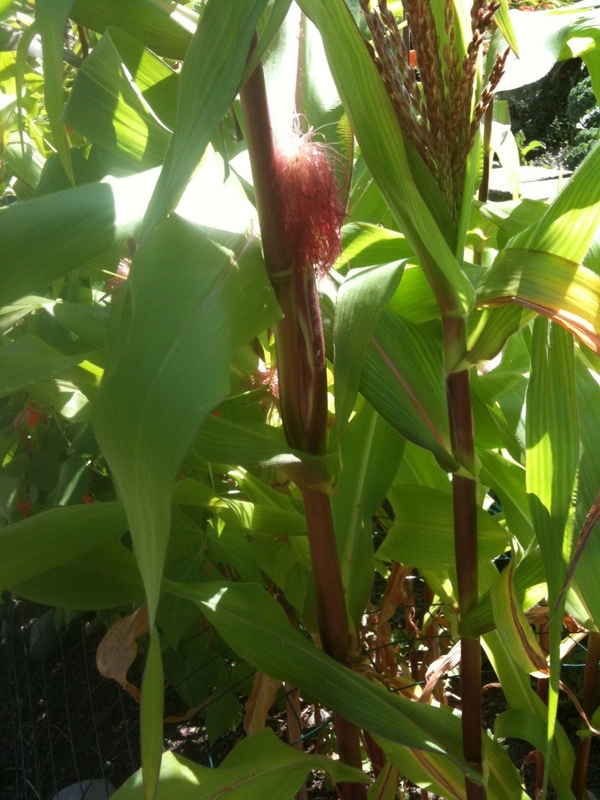 My corn is going gangbusters, planted with scarlet runner beans. 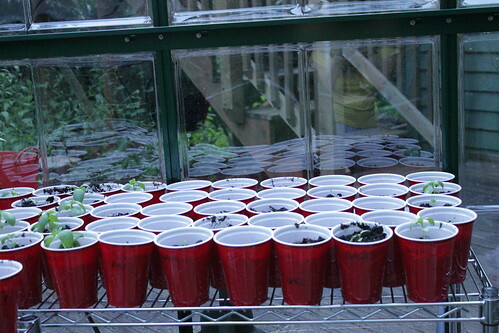 (None of my pumpkins germinated/survived slug attacks, though.) Good dirt, good companions. 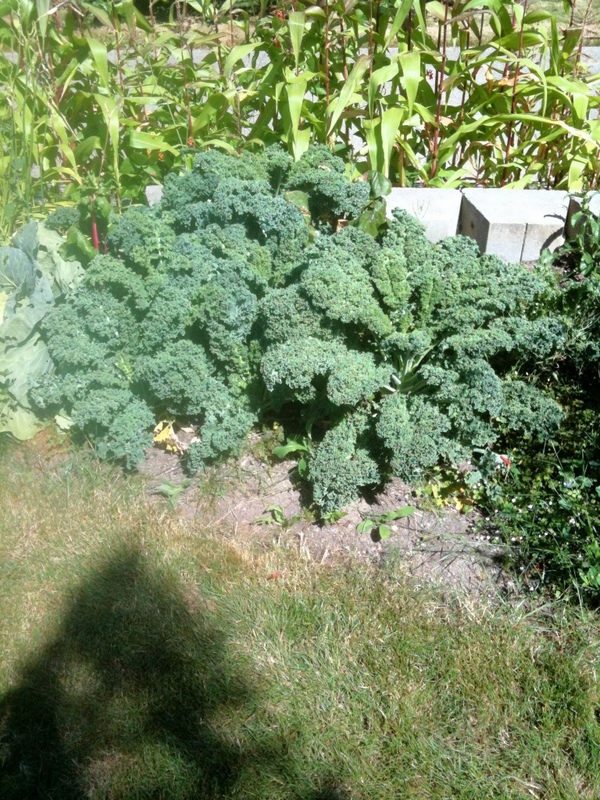 Dependable kale is always awesome- I plant it once in the early spring, and harvest all year. This won’t bolt until next spring. 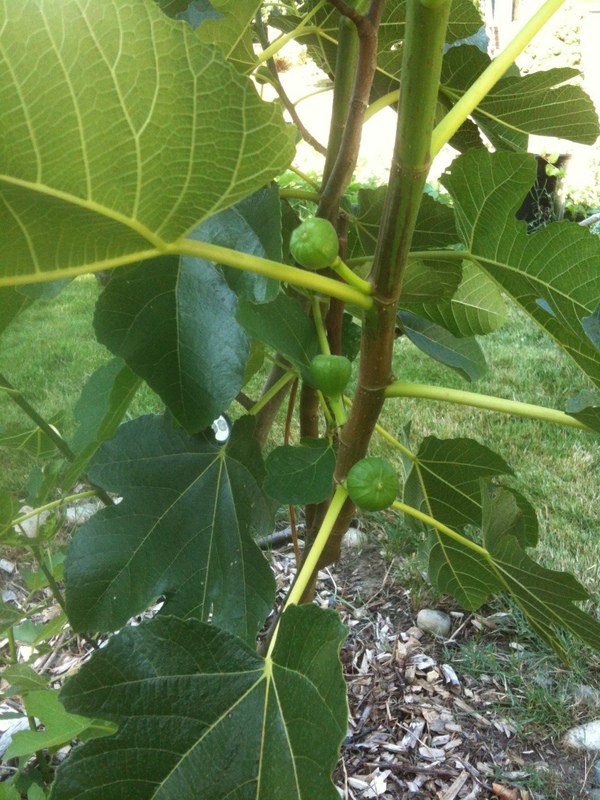 Finally, Cougar Mama’s gifted fig tree has a decent-sized crop this year. 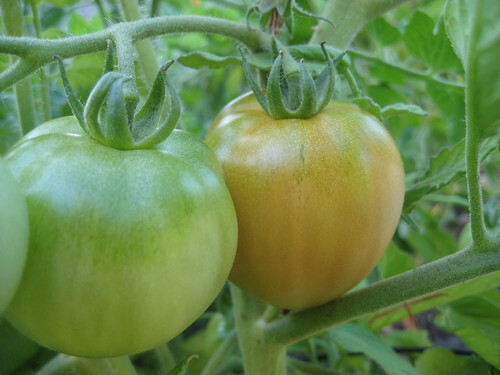 Looking forward to harvesting next month, and glad all our digging and weeding and digging again and amending are going to do some good! 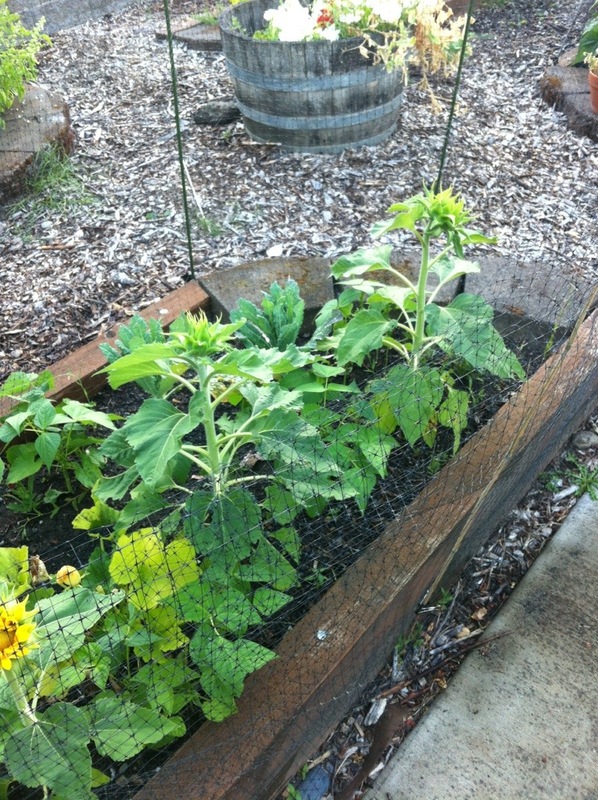 Not pictured, but doing great, is zucchini, mint, and oregano. 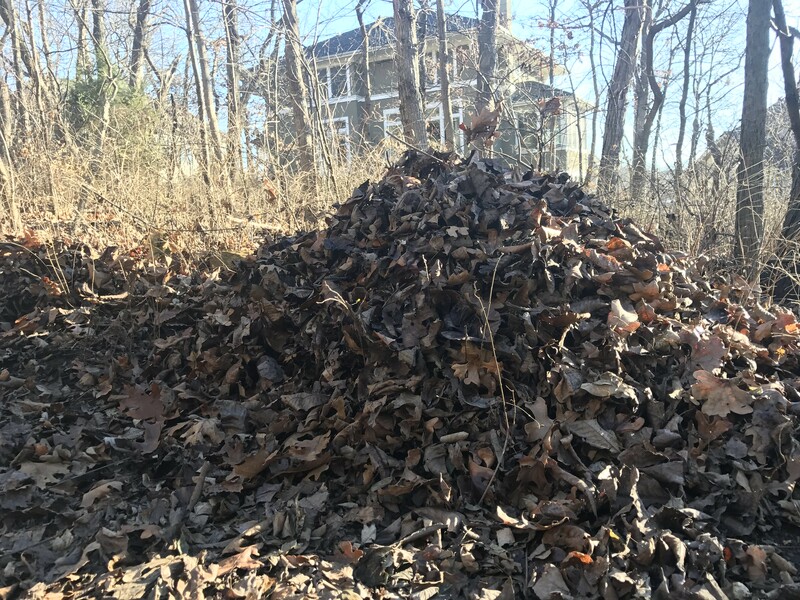 I’m trying to decide what I want to mulch with in the garden next year- anything on the ground turns into breeding spots for hordes of slugs. Hmm. The peas dried on the vines this year- they weren’t as sweet as last spring. Today we yanked up all the vines and pulled off the dried pods. 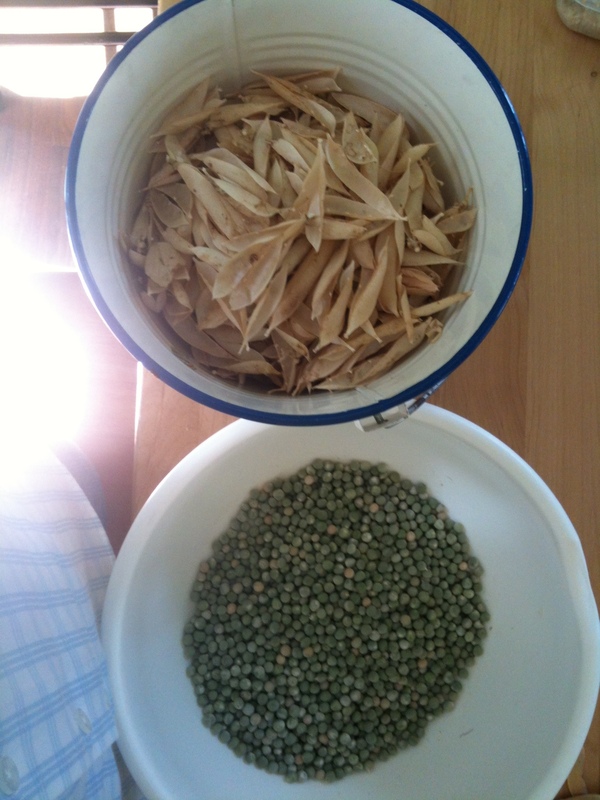 Shelled, we ended up with half a quart of dried peas. A disgustingly small amount of fruit for two hours of labor (they clung tightly to the vines) but it’s more than we would have had if I’d just thrown it all in the compost pile. We will cook them like split peas or lentils, I am excited for that! My sister was here to help out today- I don’t think she’s impressed with urban farming right now, when $3 would buy the same amount of split peas from the grocery store. 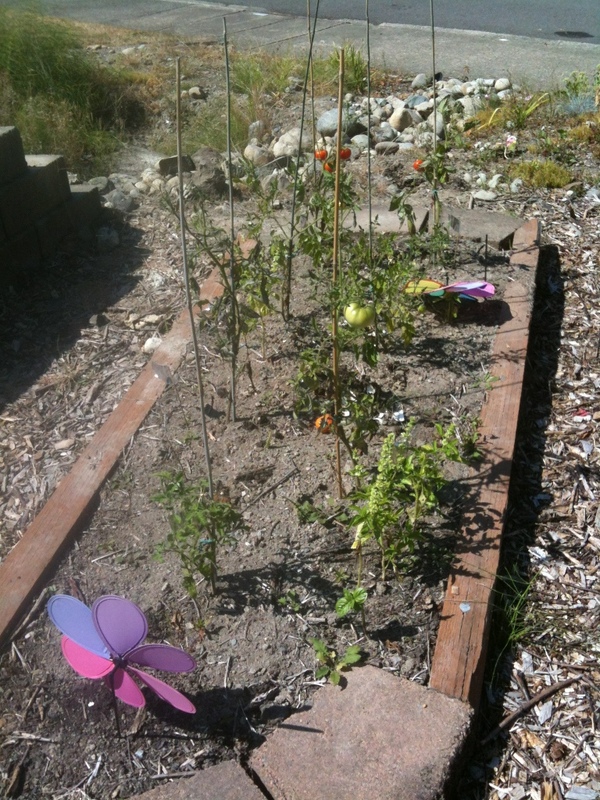 But, the peas added nitrogen to the garden bed, the roots left behind air pockets and organic matter to enrich the soil, the kids learned to plant and wait and watch. 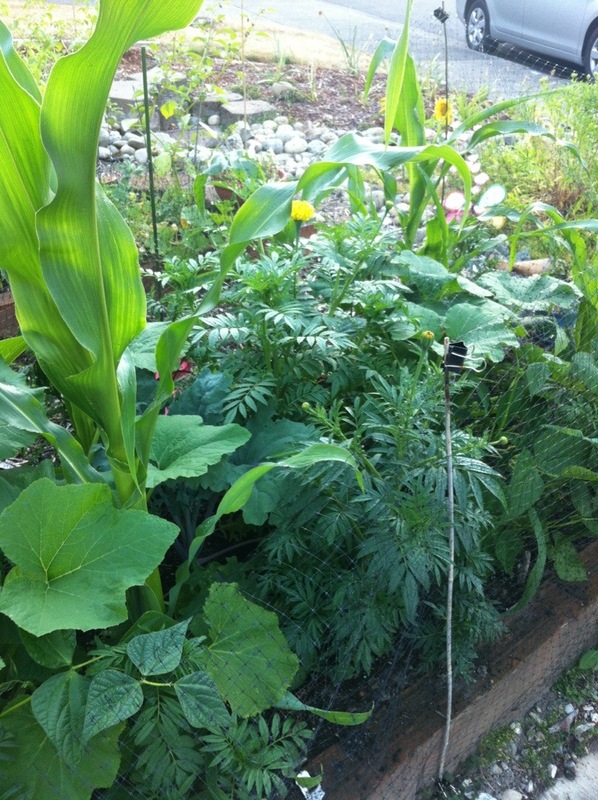 So really, it was worth it because we garden for so many more reasons than the food.